Slope-Intercept form tells you the slope and the y-intercept of a line. The slope-intercept equation is y=mx+b, where "m" stands for the slope and "b" is the y-intercept. 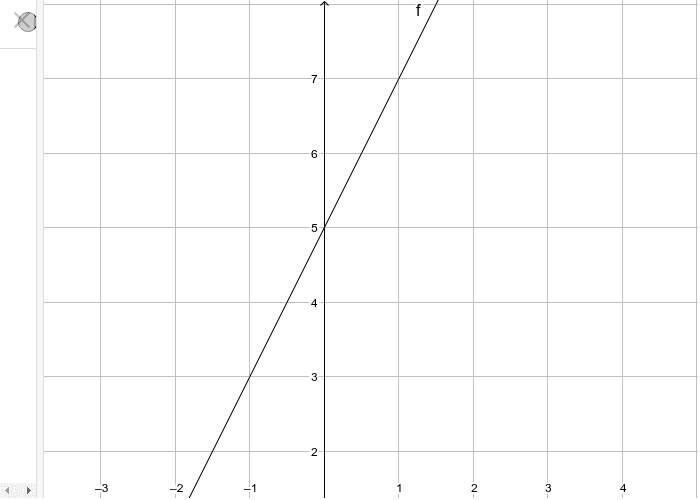 Y and X represent the position of the point on the graph. The only way a line cannot be represented by slope-intercept form is if it is a vertical or horizontal line. For example vertical lines can be represented by x=5, while horizontal lines are represented by y=4. Find the slope and y-intercept!